It is never pleasant when something big and overwhelming happens to or at our workplace that throws us out of balance. Perhaps the company is sold and the new owners have completely different ideas of how things should be run. Our job might disappear in company cutbacks and we are given new assignments that we do not enjoy doing. Or maybe the colleague we really loved working with quits, or the office moves to new facilities to an environment that doesn’t suit us at all. 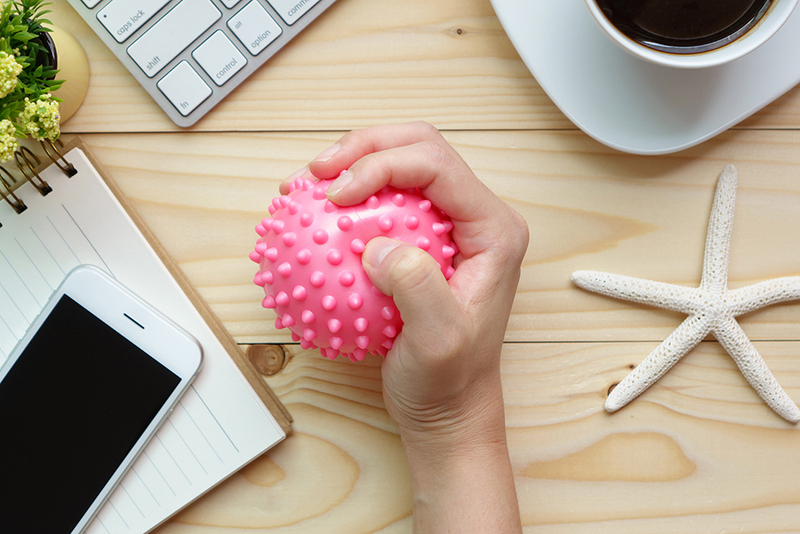 But it is not necessarily the big, really noticeable changes that affect us the most in terms of feeling stress or wellbeing throughout our workday. It is the little things, the daily nuisances that bother and annoy us, that have the greatest effect on our mood. At least this is the conclusion A.D. Kanner and his colleagues drew from a study conducted at U.C. Berkeley in 1981. Every month for one year they asked 100 people to choose which of 117 common annoyances they regularly experienced in their lives and how often they occurred. They were also asked to describe how they were feeling, among other things, in relation to stress and what major changes or events (for example at work or in the family) they had experienced recently. The researchers found what they considered a stronger correlation between the participants’ wellbeing and the degree of exposure to all the little annoyances of everyday life, than the correlation between wellbeing and major transformative events. The study was criticized and debated, for instance when it came to what nuisances they had chosen to include. However, regardless on the agreement of the scholars, we can be inspired by their method to get a grip on what aspects of our own lives that bother us and what we could do about them. Let’s say we made our own list of things that annoy and irritate us in our daily lives, and throughout the next year both check in with ourselves to see if the list grows longer and if we experience more stress and less wellbeing, as well as see if we can identify which annoyances we should strive to eliminate for it to have the greatest positive effect on our workdays. Wouldn’t that be interesting? And don’t you think that the exercise itself would empower us to do something about our situation? Sit down and make a list of all the things you can possibly think of that bother you. Use a spreadsheet to make the list. This will turn into a chart you can use to follow up on how you have managed to address these annoyances later on. Create twelve columns to the right of the list which will represent the next twelve months ahead. Now create two formulas at the bottom of the list. Add a recurring to-do-task to your to-do-list that repeats itself, for instance the first workday of every month, and write something along the lines of: “Make an estimation of last months nuisances”. The task means that you simply note which of the nuisances you have experienced in the past month. Grade how bothersome they have been on that scale from 1-3. When you have repeated the task a few times and gathered enough data for any meaningful comparison to be made, say after two-three months, then let your spreadsheet generate a diagram in which you can visually see how you are doing in terms of instances of being irritated, and your overall level of annoyance. If you want to take a step towards making your life easier right away, choose one of the nuisances you have experienced in the past month that seems to happen most often. Think of something, anything, you could do to avoid the event from occurring, make it occur less frequently or ensure that it does not influence you as much. You need to be able to use a verb when formulating what you decide to do about the problem. ‘Ask’ is a verb, as is ‘bring’ in the phrase “Bring it up at the next department meeting”. If you have pondered the matter but still haven’t thought of anything, email me and perhaps I will have an idea or two. When the year has passed, look back over the twelve months of charting your nuisances. Either enjoy how you have managed to improve your situation, or if the number of nuisances have increased and gotten more frequent, sincerely ask yourself if you could make a more extensive change. If the process felt gratifying and helpful, you could repeat it for another year. If you chart what you are annoyed by it will become easier to actually do something about it. Even if you find a solution to just one of the little problems you have, you will have at least made life a bit better. And perhaps found some motivation to do something about another nuisance. Just as you get rid of those things that stay on your to-do-list for months on end by doing one tiny step at a time, you will improve your workday significantly even by fixing a small detail. One step at a time will eliminate those sources of irritation one by one, with less effort than if you tried getting rid of them all at once. Every time you eliminate a nuisance, you have accomplished one of those small everyday-life victories that feel so good. What nuisances bother you most right now? Email me at david@stiernholm.com and tell me all about them and perhaps we can find some good solution together, maybe even by improving your structure somehow.